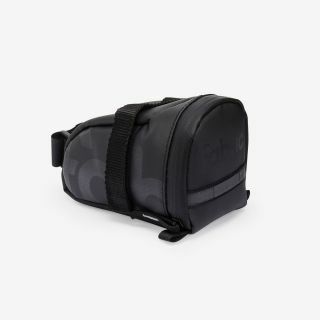 Pack your ride essentials and protect them from the elements with the Contain saddle bag. 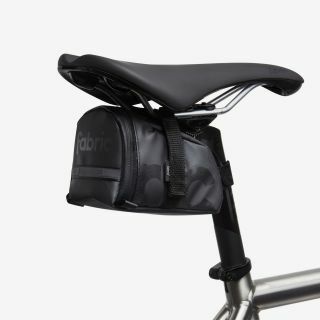 Compact and durable, the saddle bag attaches securely underneath your saddle using two heavy-duty webbed Velcro straps. 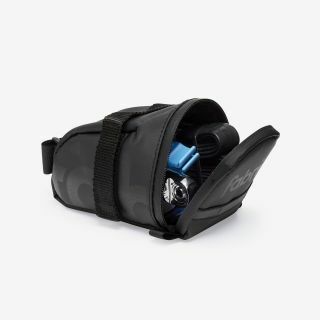 Ideal for carrying an inner tube, tyre levers, multi-tool, puncture repair kit, keys, cash and more. A rear safety light can be attached to the reflective loop on the rear, helping to improve your visibility in low light conditions.